Addajet has entrusted Abakus Labs to give a facelift to their website. 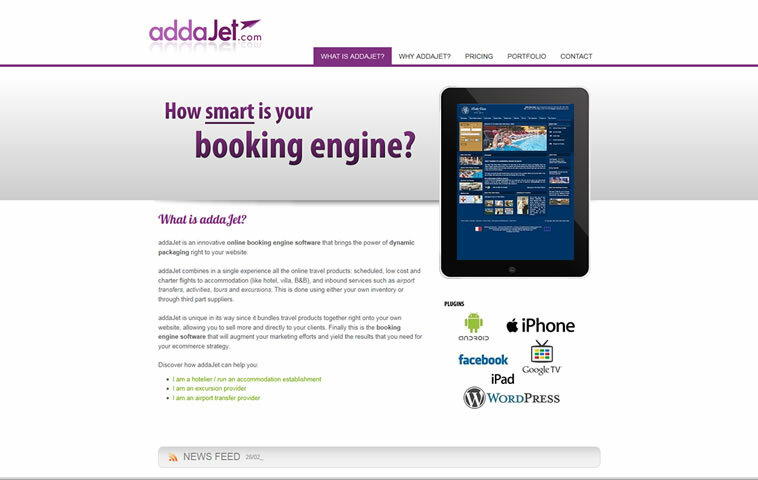 The design of www.addajet.com has been updated in such a way that is not only pleasant to the eye, but also to be more user friendly for its users. The portal does not only information about the functions and the pricing of the product itself, but it also has a portfolio's page which in which it had a lsit of already satisfied clients who are using the system.